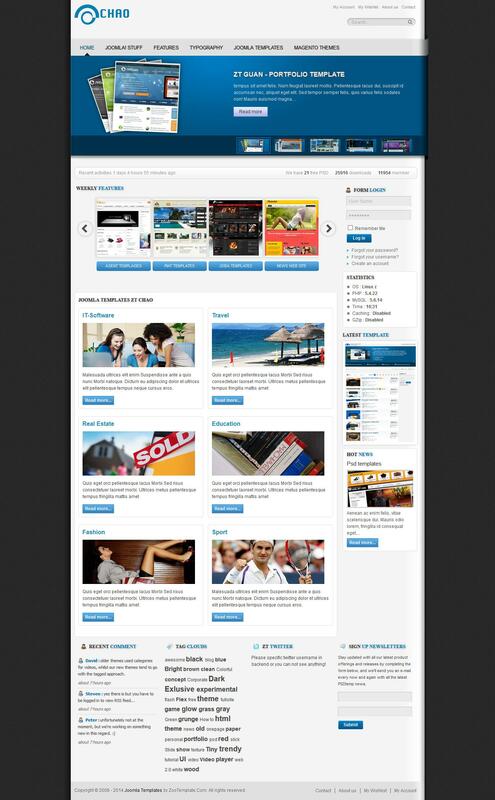 JV Chao - another stylish business template from the design studio JoomlaVision is now fully compatible with Joomla 1.7. Stylish design template made in bright colors, which are ideally suited for the creation of a website. In the template, there is support for component K2, which is responsible for the flexible management of site materials. Integrated control panel settings template allows access to the main parameters of the layout. JV Chao perfectly optimized, has a fast download speeds and is compatible with all versions of browsers. Correct display of the template on any screen complements a huge list of its capabilities.